Celebrating the glitz and glamour of a bygone era. Yep. That's right. 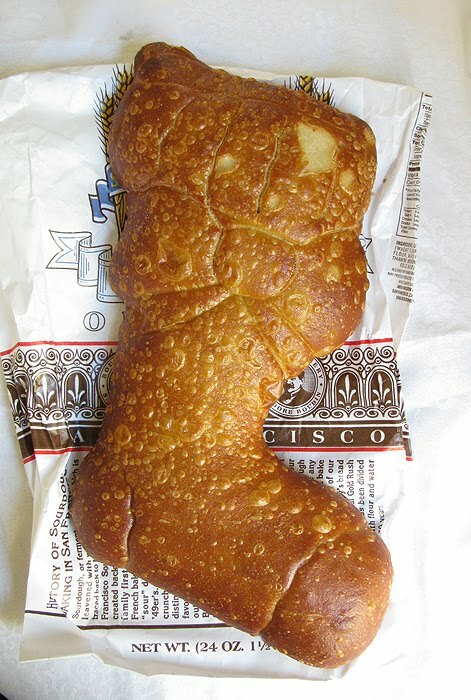 Little did I know that the famous Boudin Bakery in San Francisco made seasonal sourdough bread shaped like stockings, snowmen and Christmas trees! 50 years living here and I never knew that! Thanks to my friend Marianne, who spoiled me rotten with holiday gifts. We had our annual holiday lunch the other day, and with no alcoholic beverages present, we managed to laugh ourselves silly. I generally don't like to brag talk about the gifts I receive, but these were too fun to pass up. AND, you may get some ideas for holiday gifts. 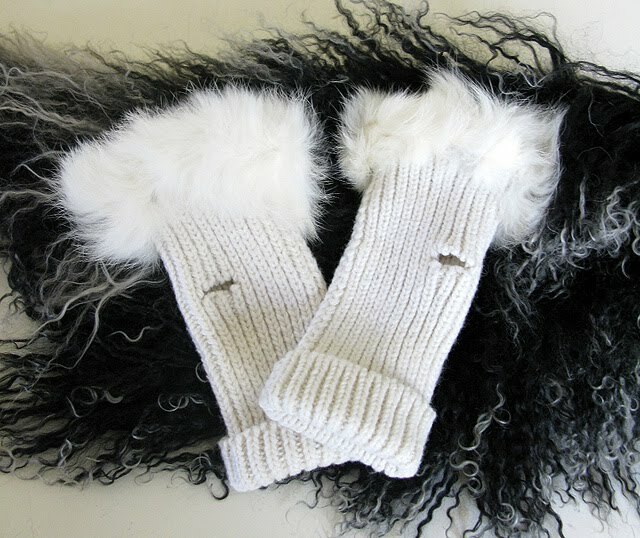 Love the fuzzy scarf that pins to any length, and the fingerless gloves with white faux fur. 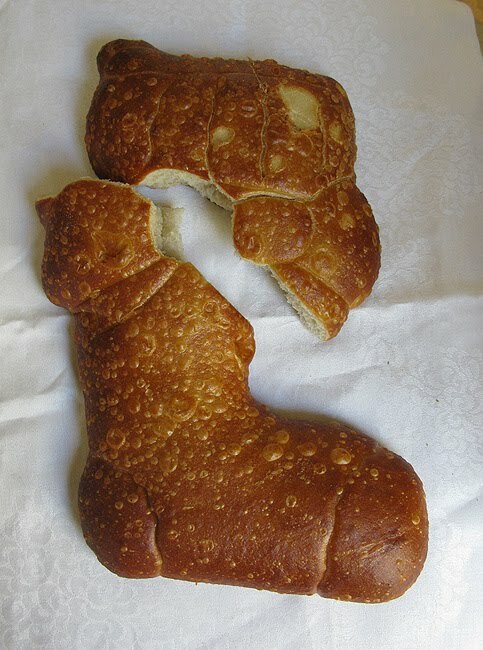 Perfect for this cold season and so festive! 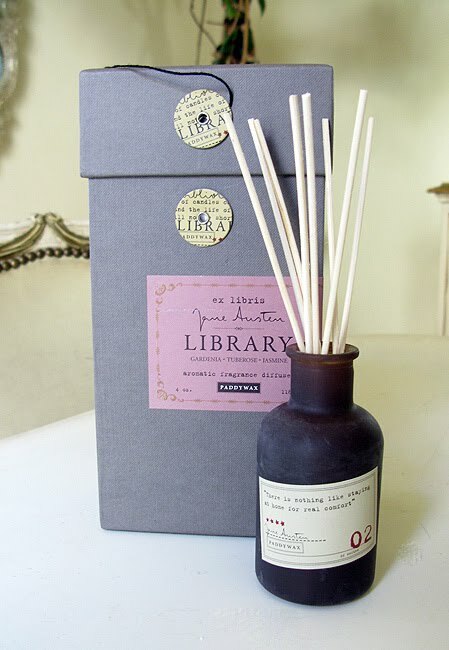 I think Marianne was spying on my wish list on "Pinterest" and spotted this handsome diffuser by Paddywax called "Library." They have a variety of scents paying homage to literary greats including Poe, Whitman, Thoreau, Austen & Dickens. It smells wonderful and the packaging is great, isn't it? You may be asking, what is this? 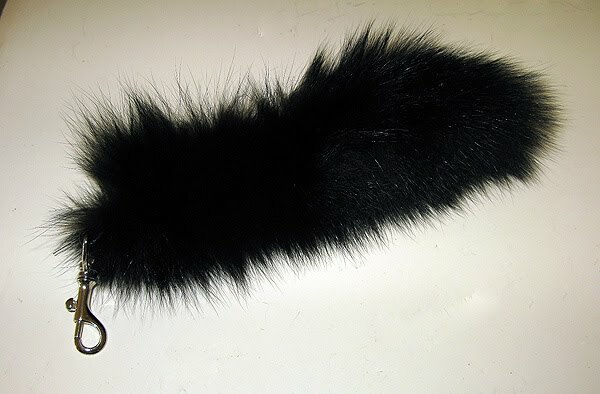 A faux fur cat tail? Yep. Well, according to Marianne, "All the girls in Laguna Beach wear them." 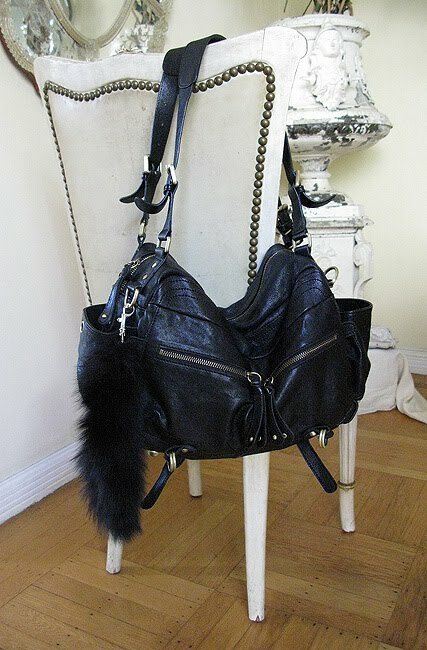 Well, gotta stay in vogue with those Southern California gals, so yours truly now has a cat tail hanging from her bag! Those are great gifts! That's not a real cat tail is it? Is it real fur? I don't think I could do that...no matter how in it is. That said....I have a silver bag that needs a white one! Oh...yes....I see now...faux fur...then I DO need one! 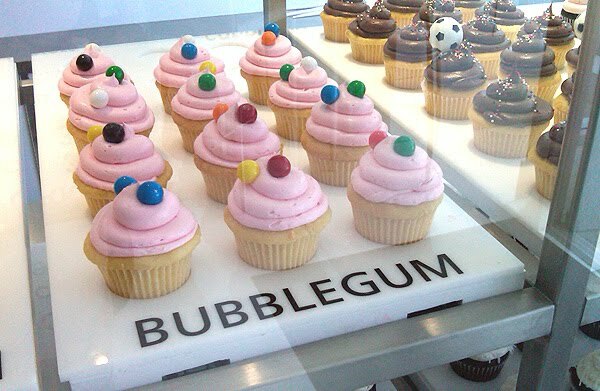 I wonder if they have them here in OKC. I'll have to go looking. What fabulous pressies Lynn and each one so individual. 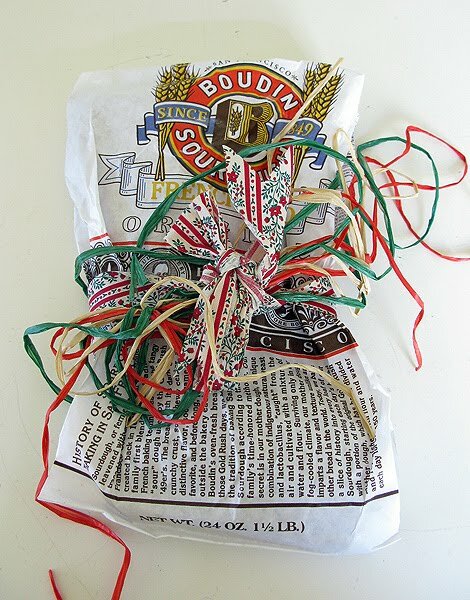 I love the way the sourdough stocking was wrapped and the book about Paris needs to be on my present list. wait...what if it is a real fox tail or something? And what did you get her? The girls got style! 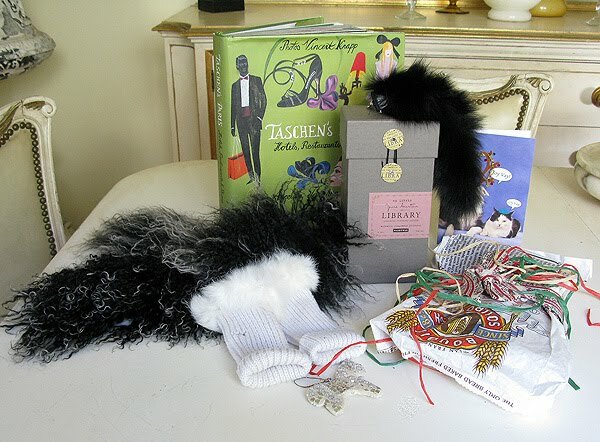 Fabulous gifts Marianne! Lucky girl Lynn! That cat tail is hysterical. Have You Been to Claridge's Hotel? Cats & Dogs at Macy's? 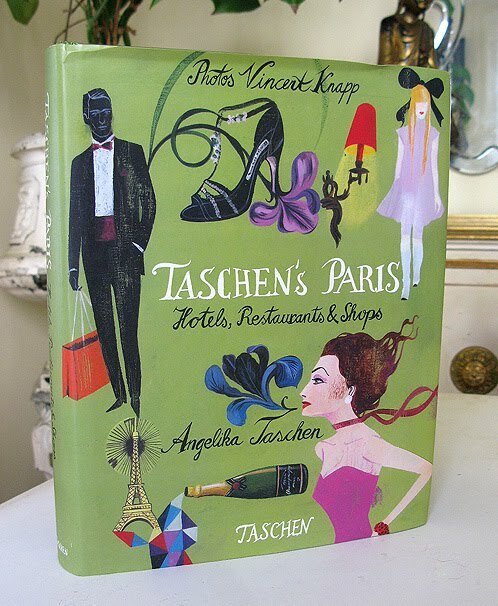 Holiday Arrivals at Paris Hotel Boutique! Happy Monday + Heads Up!